My dog isn't matted, just a little bit knotty!!! For all of us dog groomers, matted dogs are not a new discovery, matting is something that we as pet professionals deal with on a daily basis. It is the single biggest problem that we come across simply because owners don’t realise just how damaging a matted coat can be. The thing is, If you don’t do your homework and don’t use your groomer on a regular schedule, 9 times out of 10 your dog will at some point get matted. Obviously this wont happen if you have a Staffordshire Bull Terrier or a short coated dog but for most long haired breeds, this is the very real danger. Education is key. How to deal with the situation when it arises, and knowing what to expect will not only help you as a dog owner going forward but it will also help your groomer get the best out of your dogs coat. Hopefully, this article will hey you to understand your dogs coat type and make it a little clearer as to how much homework you need to do. So where do I start?? Smooth: So, this relates to your Staffordshire Bull Terriers, Boston Terriers, Greyhounds etc. They really don’t need much grooming at home, just the occasional bath and once over with Curry Comb. Short: Different to the smooth coat, this type of coat has 2 layers that you can get your fingers in to. Think Labrador or Beagle. They can be quite fierce shedders and hold moisture and odour much more than the smooth coat. This means they need more grooming. A good de shed with a Coat King or Furminator should do the trick. Ask you recommended groomer to show you tips to safely use this equipment at home as they can be quite harsh on the skin if not used correctly. Combination: Now we are talking Golden Retrievers and German Shepherds, even Cocker Spaniels. A combination coated dog has a mix of long and short hair that needs daily maintenance. These dogs are in the danger zone and will get matted if not regularly brushed at home. Again, get advice on the correct grooming procedures so as not to harm your dogs skin. The trick is to let the tools do the work and don’t press too hard. use it on yourself first to see how it feels on your skin and keep that in mind when grooming your dog at home. Wire: Fox Terriers, Welsh Terriers, Airedales etc. 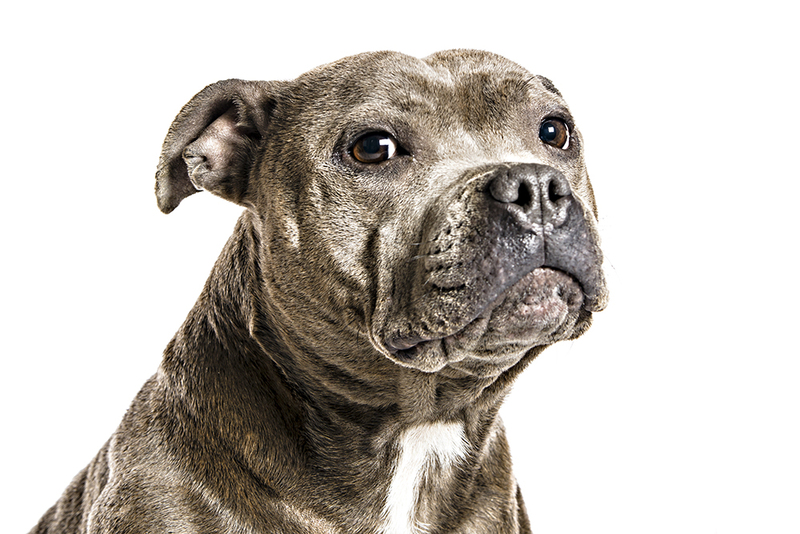 To keep these types of dogs in the best possible condition, they should be hand stripped. Having said that, not every dog is a candidate for this technique. Your Spotlight groomer should be able to advise you on the type of cute going forward but the home care is really the same whether your dog is clipped or stripped. A good brush daily will keep away the matts and a check over with a comb is essential. Tools: Slicker Brush, Comb, Coat king. Long: (Silky/Coarse): Afghan Hounds, Old English, Shih-Tzu. Its important to remember that these dogs have hair and not fur. Their hair grows like ours. It doesn't stop at a pre determined length like the other breeds mentioned. It will keep on growing if not trimmed. There are a few different textures to long coated dogs but they need the same type of regular maintenance, just differing tools. For instance, A dog with a nice long drop coat like an Afghan Hound should be brushed with a pin brush. This helps keep any damage to the coat through brushing to a minimum. However, an Old English sheep dog that isn't in full coat would be brushed with a slicker brush to keep any matting at bay. For advice on tools to use between grooms, ask your spotlight groomer. They will be able to advise you as it is all dependant on the individual dogs coat and how it has been professionally groomed. Having said that, they still need daily maintenance at home so whatever they advise, make sure to brush brush brush (daily). Tools: Pin Brush, Slicker Brush, Coat King, Comb. Wool: Poodles, Bichons, etc etc. These guys take the most amount of maintenance. They also have hair like ours. It will grow and grow. Although they do shed slightly, they aren’t fur bearing so they don’t drop undercoat. These guys need to be in the salon ideally every month to six weeks. My Wooly clients that want a full coat will come to me every three weeks. (three weeks for a wash and brush, three weeks for a haircut). Home grooming is essential with these dogs. They will get matted very easily, especially if they are introduced to water. Once wet they must be dried and brushed through to avoid matting. You should be brushing your wool coated dog at the very least once a day. Tools: Slicker Brush, Comb, Hairdryer, Conditioner, Time. Home grooming can have its dangers so I would always advise to speak to your spotlight groomer about the technique and amount of work and time you are willing to put in to home grooming. They will be able to recommend the type of haircut that goes with your lifestyle. Thats our job. We want your dog to be as comfortable as possible but we also want what is best for you. Remember, your spotlight groomer has a duty of care. We as professionals have to follow the animal welfare act. We can only do what we can safely do. If your dog has gone past the point of no return we will have no option but to shave. No groomer wants to do this. We want our clients to be happy but we also want the dogs to be happy. Its essential that your home grooming techniques are up to scratch to allow us to effectively do our job to the best of our ability. Your groomer can and will advise on the best home care procedures, all you have to do is ask. 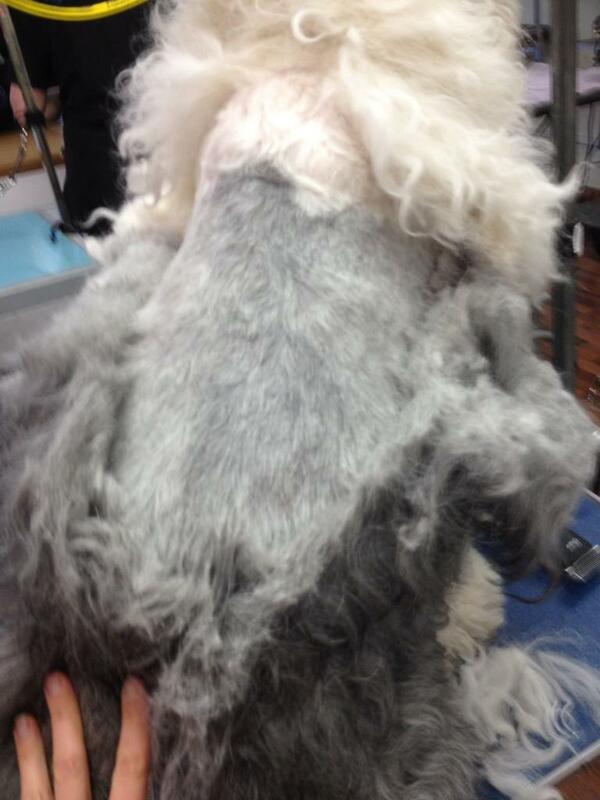 Its worth considering that if you cant get a brush through fido’s coat, then we as groomers will also have trouble. 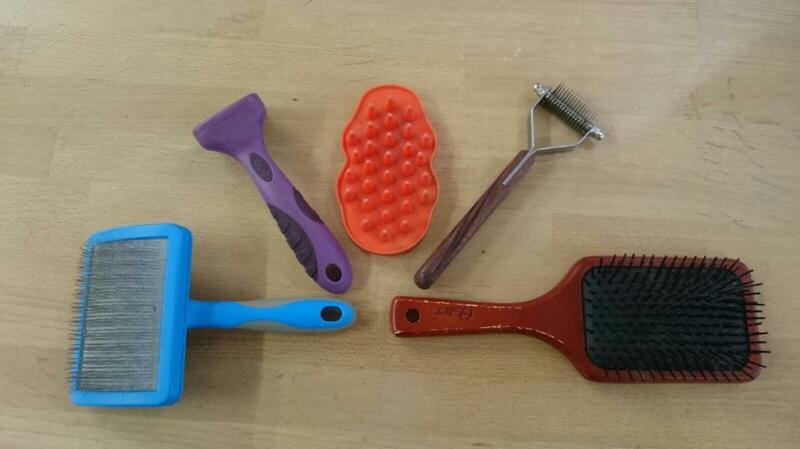 ‘A magic brush doesn't exist…..yet’.